Embroidered Washed Cotton Hats. “Sully’s Straps” logo embroidered on front. 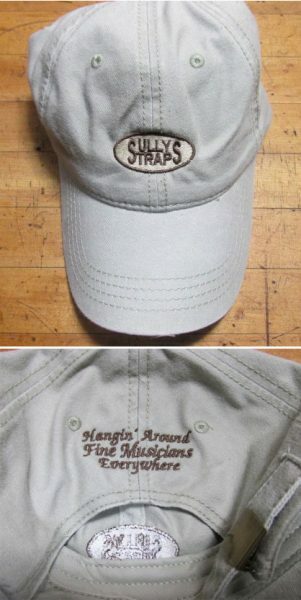 “Hangin’ Around Fine Musicians Everywhere” embroidered on back.